With no necessary hosing, no routing needed, and redesigned internals, the Rockshox Reverb AXS Dropper Seatpost with remote is a touch of genius. Available for shipment April 2019. 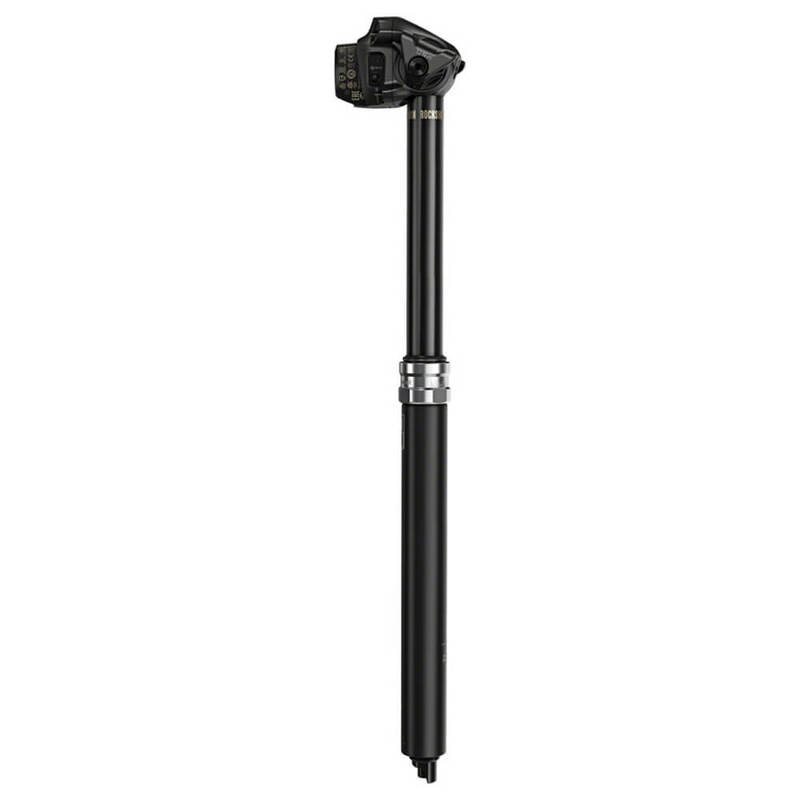 The Rockshox Reverb AXS Dropper Seatpost with Remote will be available for shipment April 2019. On the outside, the new Rockshox Reverb AXS dropper seatpost doesn’t look all that different, at least not until you see the attached battery. Looking a bit more reveals a silver seatpost collar that looks different from the average Rockshox Reverb Stealth, and then it begins to make sense. Not only does the Reverb AXS look different, it’s by far the easiest to use, most-advanced dropper for one reason: wireless technology. For our in-depth review of the Rockshox Reverb AXS dropper post, click HERE. Rockshox had a simple goal with Reverb AXS: no hoses, no cable routing, no energy wasted. 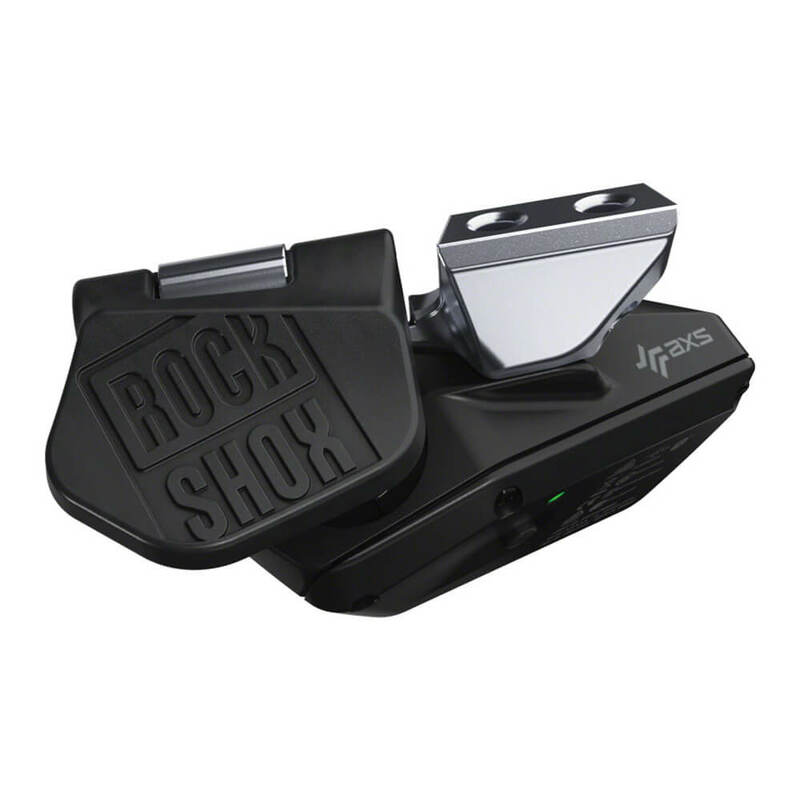 Their end result is a wireless-electronic dropper and controller with drastically less effort and zero distraction. Through the SRAM AXS companion app, riders can not only pair their Reverb AXS post to other AXS components (like Eagle AXS or RED eTap AXS), they can track service intervals, battery life, and receive rolling firmware updates. Want your Reverb AXS remote on the left to shift to a higher gear, the shifter button in the right to move the chain to an easier gear, and the ‘secret sprint paddle’ to control the Reverb? While the lack of cables and hoses is cool, maybe the best part is the new Vent Valve they built in might be the best part of the dropper. Sometimes hydraulic droppers like the Reverb develop annoying play or squish. Their new Vent Valve technology allows riders to easily remove the play by removing the seatpost, depressing the valve, compressing the post, and going. Easy as that, no annoying play. 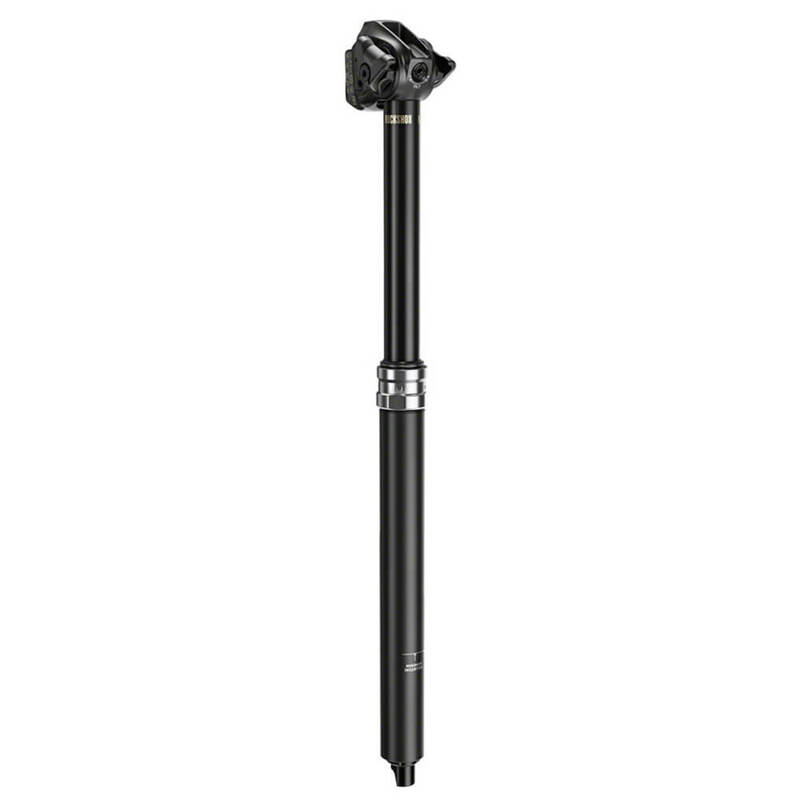 The Rockshox Reverb AXS dropper comes in 30.9mm, 31.6mm, and 34.9mm diameters, and in 100mm, 125mm, 150mm, and 170mm lengths. Each dropper comes with a SRAM battery (compatible with other AXS components), a wireless controller, and compatibility with round and oval saddle rails. Matchmaker and standard handlebar clamp options are available. Reverb AXS will be available April 2019. Contact us during business hours by phone, or anytime at info@contenderbicycles.com.